Help Holly discover Taipei in 5 days. Randy explains why he likes Taiwanese model Lin Chi-ling and why she disappoints him. Taiwanese Secrets answers some FAQ about visiting. Drew cycles a wicked route to Jiufen Ershan and discusses his personal transformation after experiencing the 921 Earthquake. 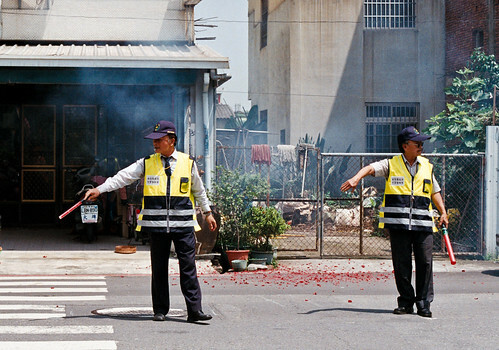 The Tainan Guide and keeping cool. Stu hikes the Huangzuishan Ecological Protection Area. Brian Q. Webb attends South Africa Day at Taipei’s Huashan Culture Park. Darren shares his thoughts on temple vices. Wandering Taiwan visits Yuanli and its Lin Grass woven goods. Dan Bloom reviews Pinoy Sunday. Michael Turton, who has your links on Mondays, explains relationships between Western men and Taiwanese women.